Cyromazine(CAS NO:66215-27-8) is a cyclopropyl derivative of melamine, a Triazine Insecticide which is widely used in livestock industry to control flies and other insects at larvae stage. Cyromazine works by affecting the nervous system of the immature larval of certain insects. 1. Used to control fly and Diptera insecticides in animal farming, especially for poultry farming. 2. Used to control leaf miners in vegetables, mushrooms, potatoes and ornamentals. Looking for ideal Agricultural Insecticide Cyromazine Manufacturer & supplier ? We have a wide selection at great prices to help you get creative. 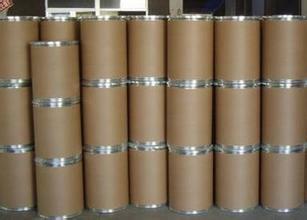 All the High Quality Cyromazine are quality guaranteed. We are China Origin Factory of CAS NO 66215-27-8. If you have any question, please feel free to contact us.